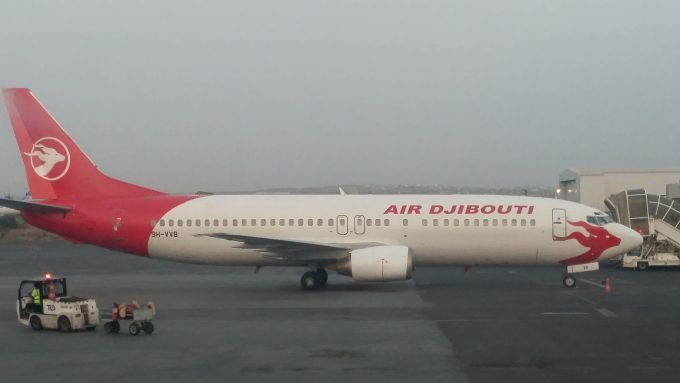 Air Djibouti is temporarily shifting its focus to passenger operations until air cargo facilities in the Horn of Africa nation improve, according to commercial director Ian Patrick. The state-owned flag-carrier launched services in August 2015 with a Fokker 27 freighter, kick-starting the government’s plan to develop a combined sea and air logistics hub. Djibouti is located by the strategically important Bab al-Mandab shipping lane that connects the Red Sea with the Gulf of Aden. Flights were grounded between November 2015 and last month following the withdrawal of the Fokker, but have now resumed with a Boeing 737-400 passenger jet wet-leased from VVB Aviation Malta. The next three aircraft will also be passenger jets, Mr Patrick told The Loadstar. Two BAe 146s wet-leased from South Africa’s Fair Aviation will arrive in October and December for flights to Somalia, while a Boeing 767-200 has been lined up for long-haul services to either London Gatwick or London Stansted airports. Addis Ababa in Ethiopia is presently the only destination in the network, though talks are also under way to add Jeddah in Saudi Arabia, Dubai in the UAE, and Dire Dawa in Ethiopia. Commenting on the current cargo facilities at Djibouti-Ambouli International Airport, Mr Patrick said a lack of secure storage was making outbound freighter services impractical. 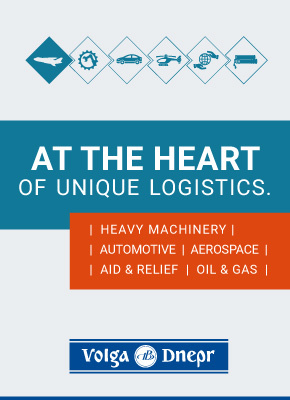 “The problem is that if you take freight in you have nowhere to store it, so you put it out on the ramp. Is that secure? No it’s not,” he complained. The commercial chief noted that a new, “state-of-the-art” cargo terminal should be operational in “three to four months maximum,” allowing Air Djibouti to experiment with either Boeing 737Fs or BAe 146Fs. However, sustained cargo growth at the base is not being considered, due to the parallel development of a successor gateway – El-Hajj Hassan Gouled Airport – which is expected to open its doors around the turn of the decade. Regional security concerns are also slowing the airline’s progress. Somalia’s capital Mogadishu would “almost certainly be our biggest market”, Mr Patrick said, but added that the route was on hold until security manager Lance Black completes a comprehensive audit of the gateway. Separate assessments are under way for Hargeisa, Berbera and Bosaso, with a view to launching triangle flights between Djibouti and two Somali cities. He said he was optimistic that Somali flights could begin as soon as October, but only if Black’s security team gives the all-clear. Future African network development will focus on countries that lack sea ports, specifically Rwanda, Chad, Central African Republic and South Sudan. Air Djibouti has been set up with help from Cardiff Aviation and relies wholly on wet-leases due to international restrictions on Djibouti’s Civil Aviation Authority.